Richmond L. Litman was born 04 March 1926, grew up in San Angelo, Tom Green County, TX, and enlisted in the U.S. Army on 26 April 1948. Litman came from a long tradition of military service, with both of his brothers serving in WWII and Korea, and one serving in Vietnam as well. CPL Litman (RA 18252977), who served in the Korean War with the 2nd Infantry Division, earned his Purple Heart when he was wounded in action on 18 September 1950 in South Korea. 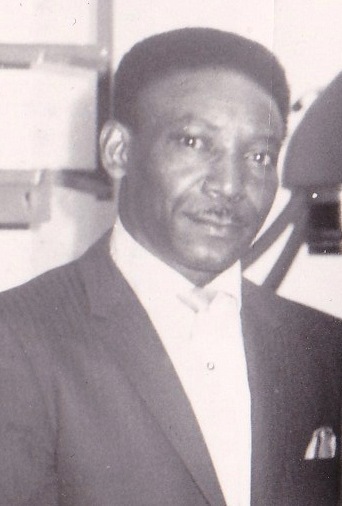 He was discharged from the Army on 01 May 1952. In addition to the Purple Heart, Litman was also awarded a Good Conduct Medal, National Defense Medal, United Nations Korean War Service Medal, and the Korean Service Medal. CPL Litman, who died on 06 October 1990, is buried at Fort Logan National Cemetery with his wife Ida, who died in 1995. A graveside ceremony there on 22 March 2015, led by Zachariah Fike of PHR, helped generate a national news story that quickly led to the discovery of CPL Litman’s step-daughter. The Purple Heart medal was originally found about 10 years ago by Jankousky and Unterwagner, whose dog, Smuckers, dug up the treasure buried behind their house on Dexter Street in Denver. The men contacted Purple Hearts Reunited for help locating the original owner’s family. Plick came forward within 24 hours of the 22 March ceremony. Plick was raised by Litman, as her biological parents divorced shortly before she was born. No one in the family knew is sure how Litman’s Purple Heart ended up buried in a backyard. At the ceremony on 29 March, Smuckers the dog presented the medal to Plick. The event was open to the public and the media, and was the first time a dog has presented a lost Purple Heart to a military family. Note: The Department of Veterans Affairs made an exception to policy to allow Smuckers to present the medal to Mr. Litman’s family on this special occasion only. Guest speakers included representatives from the MOPH and other veterans organizations, as well as SSG Salvatore Giunta, the first living veteran to receive the Medal of Honor since the Vietnam War (pictured above, at right). 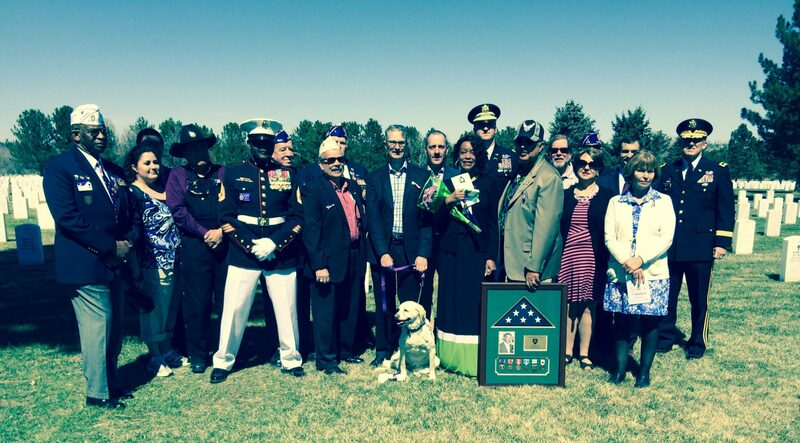 This medal return ceremony was made possible with the financial sponsorship of the Military Order of the Purple Heart Department of Colorado. The beautiful frame was created by the Village Frame Shoppe & Gallery in St. Albans, VT.
Read more about this remarkable story in the news!